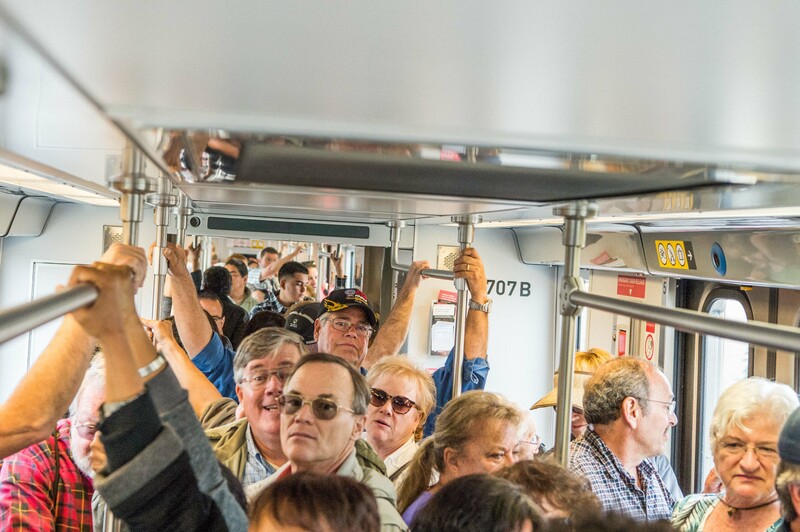 •An extra rail car will be added to four Gold Line trains during weekday peak hours in the morning and evening to help with crowds. We know the trains have sometimes been very crowded during the height of the rush hour and hopefully this will take the edge off. Metro staff will be monitoring ridership so that the longer trains can be deployed when the most needed. The Irwindale Garage is located just south of the 210 freeway on Irwindale Avenue. There is an entrance on the west side of Irwindale Ave. and from Avenida Padilla. Photo by Frank Ching/Metro. station where there is parking available. And to answer your next question: yes, the attendants will be talking to one another to monitor space availability at the garages. The attendants will also have another key role: prevent people who aren’t using Metro from parking in Metro spaces in the garages. In addition, attendants will be posting signs when stations fill and will have direction handouts to help patrons find the other garages. •Also, Metro staff were at each of the stations on Tuesday and Wednesday counting how many cars were parked. As you can see from the chart below, the main challenge is at the two most eastern stations, Azusa Downtown and APU/Citrus College. Irwindale seems to be the better option. Irwindale Station is located just south of the 210 freeway on Irwindale Avenue. It’s about 2.3 miles from Azusa Downtown Station if you take Foothill Boulevard to Irwindale Avenue. Or stay on the 210 freeway, exit Irwindale Avenue and turn south. Interestingly — and not surprisingly — the parking at the six new stations seems to have taken some of the pressure of the Sierra Madre Villa Station garage that until Saturday was the previous final Gold Line Station. Get there early. Arrive as early as you can to get your parking spot. While there are about 1,500 parking spaces available at six different stations, some stations, especially those in Azusa, are filling up early every morning. Try another station. See the chart above. Share the Ride. Carpool with a buddy or workmate to the station and ride the train together. Kiss and Ride. Have someone drop you off at the station. Each station has a convenient passenger drop-off area. Walk to the station. If you live close to the station, try walking instead. Each station features pedestrian-friendly improvements like enhanced crosswalks, sidewalks, pedestrian street lights, benches and ramps. Ride a bike. Each station has up to 20 bike racks and 24 bike lockers for bicycle commuters. 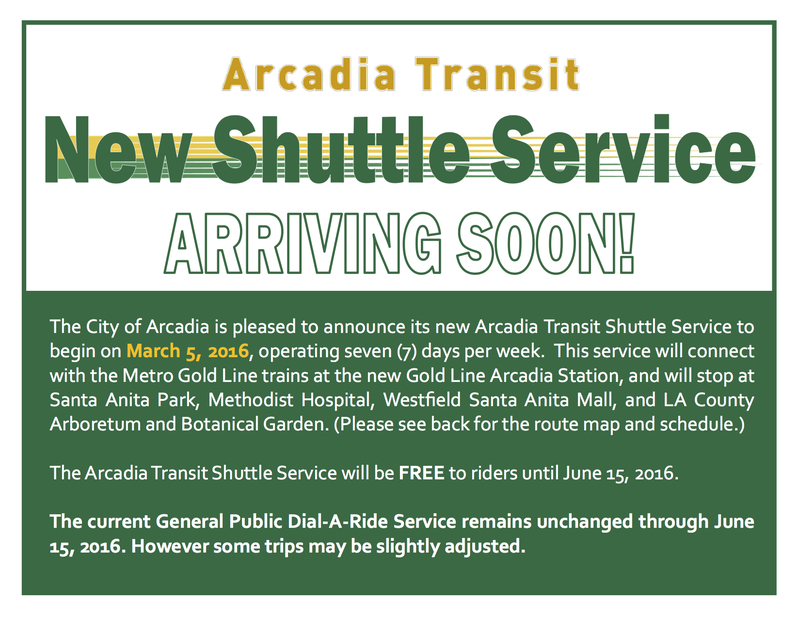 Arcadia: Metro Line 79, Metro Line 487, Foothill Transit 187 and Arcadia Transit, which will operate a free (until June) shuttle bus running between the Gold Line, Santa Anita Park, Methodist Hospital, Westfield Mall and the Los Angeles County Arboretum (see below for map and timetable). Monrovia: Metro Line 264, Metro Line 270, Foothill Transit 494. 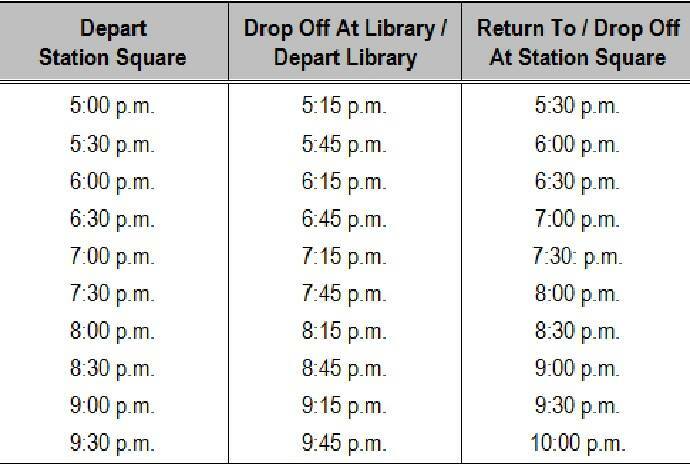 The city is also adding a shuttle between the station and Old Town Monrovia that will run on Fridays and Saturdays from 5 p.m. to 10 p.m. Tonight is the first night of service. It’s $1 or free with a TAP card. Catch the bus at the turnaround on Primrose Avenue, next to the parking garage. The schedule is at the bottom of the post. Duarte/City of Hope: Metro Line 264, Metro Line 270, Foothill Transit 272, Duarte Transit Green and Blue lines (see below for map and timetable). Azusa Downtown: Foothill Transit 185, 187, 280, 494 and 496. APU/Citrus College: Foothill Transit 187, 281, 284, 488. I will be riding the gold line on Saturday. Here is hoping that the normally lower weekend ridership translates into parking at APU/Citrus College. It would be interesting to see if parking gets harder during comic conventions and anime conventions like Anime Expo, Wondercon, Pacific Media Expo, and Comikaze Expo vs normal weekends. Which trains (time leaving APU) will have the extra car? It will be up to our Rail operations staff–I don’t have the exact times. They are going to try to deploy when most needed. Unfortunately, the bike lockers at the APU/Citrus College stations are not available to reserve yet. I’ll try to get someone from our bike team to be in contact with you. There’s a software problem with the bike locker website, thus the reason it hasn’t been working. Monrovia offers free shuttle rides from its Station Square to Downtown Monrovia on Friday and Saturday nights. You might want to contact the City of Monrovia to verify this info and see if it has plans to expand the program. The City of Azusa offers shuttles to the Metro Link station in Covina in the early morning and after work, is there anything in the works for the Azusa transit station? It is at least a 4000 foot walk from the nearest Foothill Transit bus stops to the APU/Citrus platform. Until the underpass from the corner of Citrus and Foothill is completed, recommending bus connections at APU/Citrus is only going to result in frustrated customers and should be stopped. Suggest the Azusa Downtown station instead. Can METRO develop a twitter feed that updates the parking occupancy at each station? I think it would take quite a bit of work. It would mean having an attendant at each station or installing electronic devices in every single space to monitor. While it may be useful, I tend to think that most commuters quickly learn the parking availability at their respective stations. Nonetheless, I’ll pass this along to our tech folks and innovation office. you can make that easier by telling the attendants there to write a tweet on Metro/ Metro Rider Alert Twitter account when the lot is full. Is there any information on where all these people are going, or what their final destinations are? I’m surprised at how quickly this line has gotten oversubscribed and how much pent-up demand there was. Good question. Answer: not yet. The ridership counts are done over a long stretch of time so it will be some time before we have the boarding numbers for each station. That said, we know that ridership on the Gold Line in recent months has been at or near all-time highs. The really busy stations prior to the new stations opening have always been Union Station, Highland Park, South Pas, Del Mar, Memorial Park, Lake and Sierra Madre Villa. I think that’s still the case. I, too, am curious about which of the new stations will be busiest. We’ll share numbers as we get them. It’s fun to see different commuting patterns emerge. I’ve been riding the Gold Line to and from work at Arcadia Station this whole week. The morning commute, 6:03 a.m. to Union Station, has been pleasant…Yes, the train is usually full but not crowded. It’s the evening commute home, around 5:00 p.m. out of Union Station, that’s been overcrowding. This website and your social media outlets have been a great help to me! Kudos to Metro for responding quickly! Thanks much. I think the issue is that five o’clock is the peak of the peak in terms of the afternoon commute. I caught a train from Union Station yesterday a little after 5:30 and it had a lot of people but was not crazy crowded. I think anything you could do to go a little earlier than 5 or a little later will help. As will hopefully a few strategically deployed longer trains. We’ll continue to monitor and update. Thank you very much for riding and writing! I am happy that Metro is listening and making adjustamens. Big picture, what the overcrowding also tells me is that there is a huge unmet market in SGV and the foothills and that the number of people who want to give up cars and substitute a portion of their commute to riding the rail is much larger than what most people think. It also tells me that the further extension to Pomona and Claremont would also greatly increase the gold line ridership since it brings access to Pomona Fairplex, Cal Poly Pomona, and Clarmont McKenna college. Likewise, extending the southern branch to Monterey Park and City of industry might also greatly have the same effect on ridership. Well, a lot of trains are running nearly empty in the opposite direction and they have only been running 2 car trains every 12 minutes so you really have to see how the total ridership is before calling the line overcrowded. As in many cities including Los Angeles, especially on the Blue and Red Lines you are not guaranteed a seat so just because somebody has to stand doesn’t mean the line is necessarily overcrowded. It’s probably a safe bet that you’ll see another sudden, significant ridership increase in a few years when the Regional Connector opens, providing riders of all current lines easier access to job centers in and around the DTLA area. You guys probably won’t want to underestimate demand, but I assume by then you’ll have enough rolling stock on hand to handle larger capacities. For the Expo extension opening in May, trains might also fill up quickly during rush hours, so be prepared for similar feedback. Yes, it wouldn’t surprise me at all if the Expo extension will break all the ridership records. Even people who use the metro as a weekend trip vehicle would greatly appreciate direct access to Santa Monica. I foresee myself using it when Cirque Du Soleil comes into Santa Monica since it means I don’t need to deal with expensive Santa Monica parking and the heavy Westside Traffic. Concur. Reducing the number of transfers will likely make transit more feasible or desirable for some folks. I think the biggest influx of riders may actually come from East L.A. as they now have to ride north to Union Station and then back south on the subway to 7th/Metro. On the other hand, I suspect the Connector will free up some room on the subway. It will likely also help with train frequencies since Expo and Blue Lines will no longer have to turn around at 7th/Metro. Clearly charging for parking is warranted at the Azusa stations to manage demand and raise funds to improve connections to the Gold Line. Also, a lot of these new stations need walkable urban development BADLY. Otherwise it’s really a commuter train that brings people to LA in the morning and takes them home at night. Very inefficient for morning eastbound trains and afternoon westbound trains. I love that Sierra Madre has parking available after 7:30 am! One question though: today waiting at Allen Station at 7:25, 2 outbound trains came by before an inbound one appeared, so of course it was very crowded. maybe that was a one time thing but perhaps more frequent trains would do the trick. Citrus parking lot is nearly filled at 6 AM ? Are people overnight parking there? The problem with suggesting Irwindale as an altwenative is the fact that driving those 2.3 miles takes about 20 minutes as there is limited access ( Foothill or the 210) concentrating the parking facilities away from the terminus ensures that there will be scarcity until the line is extended further or additional spaces are available. Additionally the counts at Azusa downtown will not be accurate as long as metro users fill the second floor (Foothill transit spaces) before filling the roof. In my opinion the biggest problem is that every other doesn’t go through to Azusa. I have been taking the 5ish train east from Allen everyday this week and its packed! 95% of all riders are getting off in Azusa and those trains run every 12 minutes. They need to let more of the trains run through past the Sierra Madre stop. It is ridiculous to suggest that people should catch an earlier train, or drive to another parking garage to avoid a full parking garage. You are suggesting that the tail should wag the dog. I concur with your suggestion that people take buses (not car-pools) to the station, if possible. However Metro and all other government agencies should encourage people to minimize their freeway driving as much as possible, by placing parking for public transit riders close to riders’ homes. 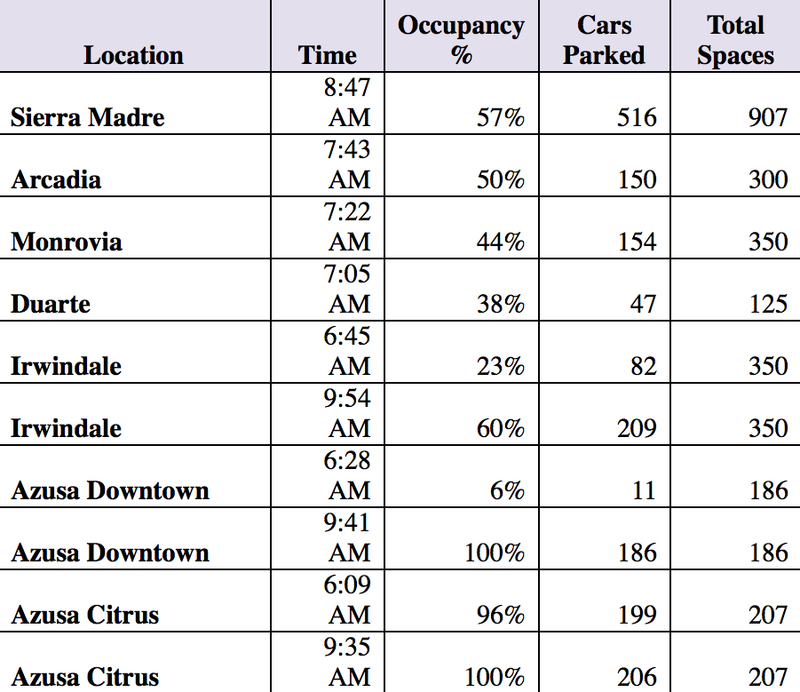 What is telling to me is the number of spots in Sierra Madre, 907 parking spots on the original terminus versus 207 spots in the APU/Citrus Station Terminus of Phase 2. Now, I am not saying that they should have built a massive parking structure of 907 parking spots, but they definitely should have built far more than 207 parking spots since it will be the terminus until they extend it further. I have a feeling they intentionally kept the parking spots low at the new terminus station because they didn’t want APU/Citrus College students parking there for free, and walking to school. Which is a good idea, why have a huge parking structure if it is used by students/faculty who don’t want to pay for the parking pass at the college and they are not using the gold line? Likewise, I could see the argument of keeping the number of parking spots smaller to encourage people to ride the buses and metrolink in lieu of driving to the stations. The problem is that as the Gold line gets further into the foothill mountains, you start to appeal to the gigantic Inland Empire base who would love to use the Gold Line as a Commuter Train/Train Cruise (in reference to a program on NHK World). For people who live in the IE, driving 20-30 miles to a rail system to have the luxury of not following the rigid Metrolink timetables (especially if you are served by the 91 line or Riverside Line) is very appealing. The reason I say this is because when they extend the Gold Line to San Dimas, Pomona, Claremont, the gold Line will get a lot of IE riders, and they will drive to the station. Have big parking lots or there will be a flood of complaining that will make this look tame. Speaking of tail wagging the dog… Transit should connect people with places. Those who advocate large parking at stations are harming the effectiveness of the transit system by adding another step, another transfer, another delay in their commute. Effective rail connects LIFE, the goal is not to supplement a segment of car travel. So…let the suburbs eat cake ? Mike, if you haven’t been to the APU/Citrus station you should take a ride out there. Suggesting that rail should take people TO someplace is great but as a previous commenter noted, it is 4000 feet to the nearest bus stop from the station. That would also be about where the nearest destination other than a residential neighborhood, or construction zone (building more residences) would be. So there is no “there” to go. With the southern access to the station incomplete and going nowhere there is no way to reasonable access the station with the exception of the under sized parking garage that was 100% full at 6:24 on Tuesday morning. I don’t think it’s going to be 4,000 feet once Citrus is completed and opened between the station and the corner of Citrus and Foothill. That should be a short walk to the bus stops there. I had read a story during the construction of the Gold Line that Metro had not ordered enough new trains for the launch (that was their part of the project as the Gold Line authority independent of Metro delivered another on-time and on-budget project). I had not heard any more about it, but now I see that the Gold Line schedule has train gaps twice as long for the new stations as the original Gold Line stations (every 6 minutes for stations through Sierra Madre, every 12 minutes for cities on the extension) so that makes me think the story was true. If that’s the case let’s hope they correct their mistake to help on the reported train over crowding during rush hour. Of course parking is another issue. Not entirely Metros fault. They signed a contract to have the rail cars in time then the original manufacture didn’t deliver, forcing a delay while the contract went out to bid again. There are new cars appearing, but it’ll take some time to catch up. Before you dump on Metro about the rail car supply, be aware of this post from 2009 which I fostered, then look at the comments that are still being posted to it. How long will it be until the new segment gets trains running on the same peak schedules as the original “inner” segment? Is the reason for running only half as many trips tied to the delays in getting cars from the manufacturer? Does this have any chance of improving until long after the Expo Line gets up to speed? I value (and ride) the Gold Line extension, but I do not like having to “buddy-up” with another trip’s full cars of passengers at Sierra Madre Villa on my eastbound commute in the evening. I thought this pent up demand might surprise you all. A lot of people are taking it to Monrovia and Pasadena from azusa. The reason? It’s faster than driving. That is how you get people out of their cars. It is definitely faster to downtown. Ridership to Sierra Madre Villa was less than expected because the freeway opened up there and you could drive it faster. From Azusa Citrus and 210 to Pasadena at 7 am is 45 minutes to an hour. Gold line is a little per 20 minutes. Not everyone is tting to go downtown. I really think you all will have to rethink the number of trains to azusa. Example. A bunch of people just got on at SMV going east. They were on the previous SMV only train and did not wait for the crowded APU train . Now a lot got off before SMV and they can now stand with more room . 555 pm train by the way. Keep up the listening!! Good work so far! Thanks! For the APU/Citrus College parking lot, what is Metro doing to prevent college students (who AREN’T taking the train) from having THEM use that lot and walk to APU and Citrus College? Also, some of my friends mentioned that people who live in the Rosedale housing area now got fenced off from the station? Is that true? They can’t walk to the station because of that fence?? Metro will have parking attendants at station to make sure those using it are also using Metro. The issue at APU/Citrus College is that the extension of Citrus Avenue to Foothill Boulevard was not completed yet by the developer. So students from Citrus and APU have to take a bus shuttle to reach the station from the north instead of the shorter way from south. Hopefully the road will be done this summer. The only way to and from the station is from the parking garage on the east, as for whatever reason the Gold Line Authority didn’t build an access point from the west. I don’t think there are that many Citrus College students parking since the lot fills up well before 7 am most mornings, as expected. I am so glad the metro had a great response…but overcrowded garage in downtown Azusa station is causing a problem to the adjacent neighborhood. I live across the street from the garage and when the garage gets full, people are parking on my street taking over ALL the street parking and leaving no spaces for us homeowners. I can’t even go to the store because I am afraid of losing my spot. What is metro and the city of Azusa going to do about this? Maybe it’s time to think about setting up parking regulations such as 2 hour parking mon-Friday like in Pasadena and giving us the local residents parking passes to put on our dashboards. Street parking is overseen the city. Please contact them. You have no right to parking, is it for the PUBLIC streets and we all pay taxes for it. If you want to put in preferential parking, you’ll have to pay for those permits and the cost to implement. And you’ll just push the problem further north. Is that what you want? Both Metro & Foothill Transit still have not updated the interactive maps in their web site. I hope that Metro will learn from this exercise and will do a better job to prepare for the Expo Phase 2 Opening. Here’s something that really surprises me because no one has really realized it yet. The reality is, Azusa – Downtown and Citrus/APU are not the Final North/East terminals of the Foothill Gold Line. . . Montclair is. So does it really make sense for Metro to build 500+ spaces parking garages at these 2 stations when they may possibly be underutilized in about 10 years when the line is proposed to be extended further east?? It would seem like a waste to build some big parking garage that may possibly become empty once commuters begin to catch the train further east. There are fewer spaces in the 4 easternmost stations than in the Sierra Madre Villa station (868-907) Since this will likely be the terminus for 10 years it seems that more focus should’ve been made on accommodating the riders. If you want to get people out of there cars, you need to give us someplace to put them. I rode from APU/Citrus to Union Station today (Saturday 3/12) at 12:15PM. The DTLA bound train was surprisingly full. Quite a few riders were already standing by the time the train got to SMV. Most riders were heading to Chinatown and Union Station. I got on an APU/Citrus train around 4:20PM. The train out of Union Station was jam packed. Many got off the train at Memorial Park, Arcadia, and Azusa Downtown. I would say the train was about 1/3 full when it reached APU/Citrus. 20 or so people were waiting on the platform for the southbound ride. Metro should consider what BART does to make sure there are spaces available for late commuters: set aside a section where parking isn’t allowed til 8am. Metro already semi does this. North Hollywood has “reserved” parking in the morning, but if those spots aren’t taken by a certain time, they open up as free spaces. Since Students from APU/Citrus College seems to be a problem for parking a monthly parking pass should be available to those who purchase monthly passes for the train on their TAP cards with no cost for parking, for now. Those who don’t purchase a monthly pass for the train should have to pay a fee…..a high fee depending on the time and day the parking space is being used. My wife and I went to see “Zootopia” at the El Capital Theatre in Hollywood and we decided to make it a public transit day, which would include riding the new Gold Line extension. We left the Highland Park Gold Line station at 11:40 a.m. The trip from Highland Park on the Gold Line and the Red Line were packed — SRO all the way to Union Station and then to Hollywood/Highland. Coming back at 3:30, the Red Line was also crowded but nothing compared with the Gold Line heading northeast. The train left at 4:20 (a few minutes late for which we were grateful because we just caught it). Again, SRO all the way to the Azusa Downtown station. A few people got off in the Pasadena stations and others got on, but all the seats were filled from Union Station to Azusa with LOTS of standees. We went to dinner in Azusa and by the time we got back on at about 7:15 p.m., the trains heading into Los Angeles were not as crowded but by the time we got to Sierra Madre Villa, things pretty well filled up again. Bottom line: especially considering this was a Saturday, it certainly appears that Metro has, indeed, underestimated the ridership on the new line. Any spur you can put into the manufacturer to accelerate the car-assembly program should be applied. Moreover, it was particularly galling to ride past the Gold Line car-wash facility near the L.A. River and see LOTS of empty cars standing there. Moreover, you folks will certainly have to reconsider the popularity of the Expo Line extension since the date will coincide with summer beach season. Bobatfore, that’s not just a car wash facility. You saw brand new, untested trains which had just been delivered from the factory. I watched Metro test one of those trains late last night. I am a Saturday rider from APU/Citrus, I was pleasantly surprised at how parking was not full at the station. What did surprise me was that the 11:15am train was packed all the way to union. I did some Little Tokyo stuff with cosplayers and was kind of surprised at how many people were riding the trains at 9pm at night. I will probably use it again for Wondercon on Easter Sunday. But cheers on an awesome experience. Great to hear. Another sigh perhaps that the boom in DTLA and all the things to do there now are helping boost ridership along the entire system. How bout start charging for this free service? Cars are parked 95% of the time. I just noticed signs on levels 2 and 3 (reserved for Foothill Transit and Gold Line) in the Azusa Downtown parking structure that say, “Parking by permit only.” How do I apply for a permit? How long will it be until the new segment gets trains running on the same peak schedules as the original “inner” segment? Thanks for the active feedback, by the way. It is good to feel that someone at Metro is listening. Thanks for the info, PY. How would anyone have known? You may have misunderstood my question, as Foothill Transit would likely not have knowledge of when Metro will have enough trains to run full schedule. So … what is the estimate of how long until Metro has enough trains (and operators) to run full a on-peak schedule on the section from SMV station to APU? It’s a good question but unfortunately we don’t have a definitive date at this time. It depends on the availability of the new rail cars and how many light rail vehicles Metro decides to allocate to the Gold Line. I know that operations is monitoring ridership. The trains are too crowded in the morning. I get on at the Duarte/City of Hope station headed towards Los Angeles around 6:35 am and it’s already full. I thought an extra car was going to be added – what happened? Due to railcar availability not every train will have three cars. Staff will continue to monitor service levels and send out available 3-car trains to accommodate heavier ridership, and we encourage you to send feedback to CustomerRelations@metro.net as well! Ok, so the inevitable – Azusa Downtown was full before 7am today. And the irony, floor 1 (reserved for city workers) maybe had 5-10 cars parked, floor 2 and 3 reserved for FT had LOT OF empty spots while gold line commuters were being sent back as our 2 floors were full. Just plain ridiculous! On Monday, the arriving train changed it’s signboard to read “AZUSA/APU” the train operator even pointed to it as he was pulling in, and it was a 3-car train. Except, once we boarded, the train was bound for Pasadena, which meant, once again, exiting at East Pasadena and waiting for an eastbound train, which was only two cars and packed. On Tuesday, the morning train from Azusa, again only two cars, was the fullest I’ve seen yet, and we were packed in like sardines the full length of the route. Did Metro not anticipate that people east of Azusa/Glendora — from San Dimas, Laverne, Claremont, etc. — would welcome the chance to drive to Azusa and then ride into LA rather than camp on the 210? Same as above. Arrived at the Azusa Station well before 7 am and was told to park at level 4. NOT one parking spot was available. Levels 2 & 3 are designated for FT passengers and level 1 for city workers… The parking is obviously not accommodating the demand. The parking situation was not planned our correctly at all. Very frustrating! This segregated parking idea really takes the cake for “Only in Southern California” policy making. I am to print out a permit here? Does Metro and Foothill Transit then follow me to see what mode of publicly funded (all of Foothill Transit is funded by Metro in the end) transit I then actually board? Absurd! If I am a student from Citrus/APU where do I catch the shuttle that takes one to the station? On Monday and Tuesday I waited 15 minutes for the train at Fillmore! NO 6:18 am and 6:24 am southbound trains from Fillmore station on Monday 3/14 and Tuesday 3/15. When the 6:32 train arrived it was packed. Please post accurate schedule! I think you’re going to need more than four 3-car trains during rush hour. Today I was waiting for a southbound train at Lake Station around 8:30 am. A train arrived (from Asuza) and there was no space to even get on the train, people were scrabbling to find an entrance without a wall of people. I waited for the next train which was mostly empty (from SMV) though it filled up fast with people who couldn’t get on the previous train. Trains are not even close to being on schedule. This morning at Irwindale, the Southbound Train was a on a 30+ minute interval. Called the Metro Customer relations and they had no clue where the train was. Get your act together Metro! I got to Union Station at 6:43p but saw a train pull out, I assume it was the Monrovia one. The schedule display on the platform showed the the next train to be for Pasadena after 17 minutes and to APU after 23 minutes. Huh? I thought it was just a display issue. However, no train showed up until about 6:55p. By then the platform was packed..i mean really giving the term “shoulder to shoulder” a whole new meaning. There were no announcements in terms of destination etc, so most of the crowd got on the train, only to then hear that it was out of service. At 6:58p another train pulled in, no announcements again and only after the train left at about 7:02p it was announced that the destination was APU. Over the past 2 weeks, at least in my experience, the trains have rarely been on schedule and have consistently exceeded the 49-50 minutes between APU and Union Station by at least 5-10 minutes. Metro really needs to get your act together as Clemente mentioned. Such scheduling issues, compounded by crazy packed trains, awful parking planning and no clear updates apart from “we are working on it” will only results in growing dissatisfaction and losing your commuters. As many of you have mentioned the parking situation at the Citrus station is inadequate, driving to the next station or two down the line for available parking increases overall commute time to the point that it no longer makes sense to take the train. I was really hoping the gold line extension would reduce my commute time, I’m giving up on that idea now. Thursday 4pm destined to APU/Citrus….intervals are 6-12 minutes so I am very relaxed, hop on first train out of Union Station. Announcement, train ends at SMV, it’s standing room only so to avoid the crush I exit one station early,at Allen. Wait 12 minutes hop on first train, announcement, train out of service at SMV…there are now 2 (full) trainloads of people waiting at SMV 18 minutes later a train shows up and I am lucky to be wedged into the train. As far as I can tell there were zero trains getting to APU/Citrus for the last about 30-40 minutes during rush hour. So, how is it that the schedule says trains every 12 minutes? This really needs to improve. Thanks for the feedback! We’ll pass along our channels, but please also email CustomerRelations@metro.net your experience so it can be logged by staff. East bound Trains are dangerously packed during evening rush hour . Add more cars or make every train go to citrus apu not just to Sierra madre. A better train schedule needs to be posted with on time trains. Parking is an issue at citrus. Too bad metro cannot buy more land over there and build more parking.